Insomniac have been big in console land for two decades, but it looks like they’re planning to hit the PC hard thanks to virtual reality. 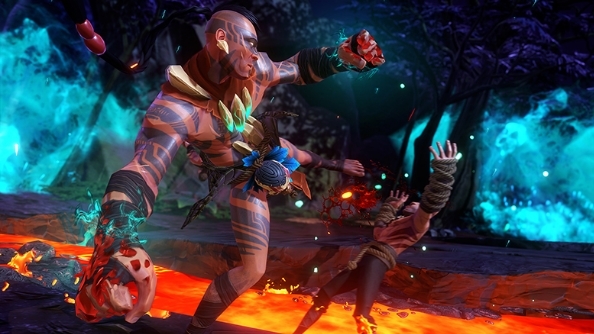 The studio already have one VR game in the pipeline, but have now announced that they’re working on a further two: the combo-based brawler Feral Rites, and PvP magic dueller The Unspoken. Does virtual reality light up your life? Then check out the best VR games coming to Oculus and HTC Vive. Feral Rites transports you to a mystical island and into a world of tribesmen who can transform into feral beasts. The campaign sees you take on “harrowing” missions in a quest for revenge, picking up new abilities along the way to contribute to the combo-based combat system. The Unspoken is a first-person urban fantasy that sees spell-slinging mages battle each other in underground fight clubs. By using the Oculus Touch controllers, players will be able to summon shields and cast spells at enemies in the destructible 1v1 multiplayer arenas. The two join Edge of Nowhere, Insomniac’s Lovecraftian horror game, as the trio of titles the studio intends to launch on Oculus VR. PC players haven’t had much chance to experience much of Insomniac’s output, but their years in console development have seen them continually hone a very flavoursome version of fun. The Ratchet and Clank games have been continually inventive, and Xbox One exclusive Sunset Overdrive certainly has its punkish OTT charms. Hopefully the studio can carry on their legacy of colourful joy in their VR games.